It’s a question you can learn more about at the upcoming Kundalini Yoga Retreat in workshops such as The Fundamental Tools of Kundalini Yoga and Kundalini Yoga – Beyond the Basics. The word Kundalini is simply defined as “coiled” and usually refers to the dormant feminine, or Shakti, energy that lives in each person at the base of the spine. The hair of the beloved is sitting in you, and reminds you of something Yogi Bhajan often said: God and Me, Me and God, Are One. This Kundalini quote is an important reminder that all yoga, just like all religions, all songs of praise, all walks in nature, all the tools you use to get rid of stress, they all have the same goal, which is to feel the creative potential in your life. Every human being has creative potential but are you feeling it? Or are you stuck in a routine where every day feels like the last one? There are many different routes and you don’t need to judge others, you just need to follow your own path and create your own life. Or you can describe the flowing locks of God that have fallen into you. Or the river that winds and turns but always comes home to the ocean. Or you tell them it is why people do yoga. Click here for Upcoming Kundalini Yoga Retreat dates and information. 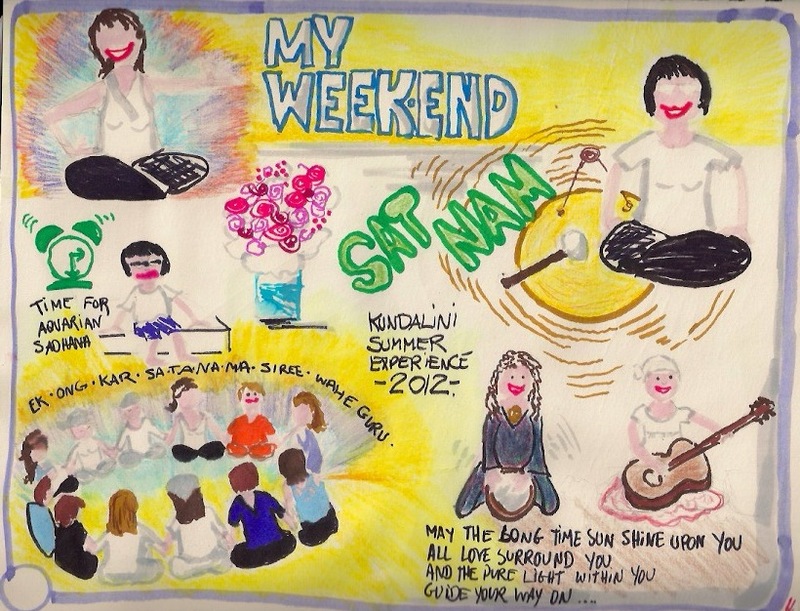 A beautiful drawing sent after the Kundalini Yoga Summer Experience 2012.